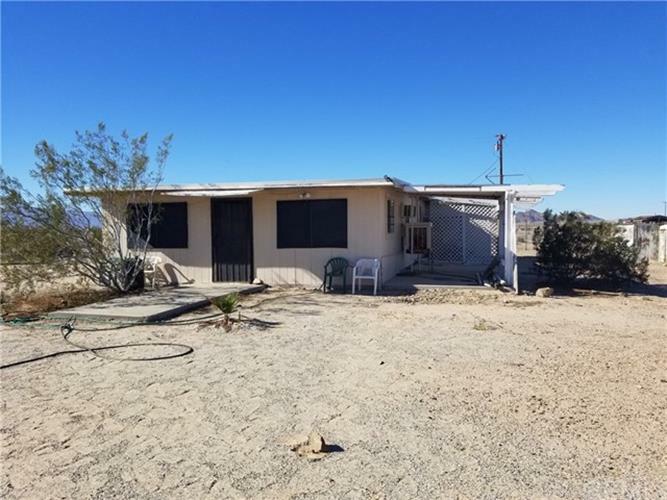 for $95,000 with 2 bedrooms and 1 full bath. This 1,050 square foot home was built in 1958 on a lot size of 4.9 Acre(s). Are you looking for a private desert home or weekend getaway? Than this is the home for you! Nice two bedroom one bathroom home on 4.9 acres. Property is partially fenced. Home is maintained and can use your personal touches. Home has a well for your water supply. Large attached garage. 360 degree mountain and desert views. Sunrises and sunsets are something to experience here. Star filled night skies. Wonder Valley.